MANILA, Philippines – Allies of former President Gloria Macapagal-Arroyo in the House of Representatives are opposing President Aquino’s directive asking politicians not to place their names and pictures on government project billboards, saying the directive would not promote transparency. Members of the House minority bloc met yesterday with Public Works Secretary Rogelio Singson to express their opposition to the directive. Mr. Aquino’s directive also requires politicians to place the name of the contractor and the project cost on the project billboard. Lawmakers said this provision would make them vulnerable to the collection of revolutionary taxes by communist rebels. Quezon Rep. Danilo Suarez said in his province, New People’s Army (NPA) guerrillas ask for three percent of the gross amount of the project as revolutionary tax. He also said the ban would be unfair to new lawmakers who need to prove that they can keep the promises they made during the elections. Zambales Rep. Milagros Magsaysay said placing their names on project billboards would help the administration monitor the use of pork barrel funds. “It’s better if we have signages with regard to our use of the PDAF (Priority Development Assistance Fund) because it’s a good gauge whether we have done something for our districts and what we have done with our PDAF,” she said. Iloilo Rep. Augusto Syjuco said if the Department of Public Works and Highways would not let them place their names on the projects, they would just spend for their own signage. He said he is sure lawmakers under the administration banner also dislike the ban but have kept silent for fear of reprisal from Malacañang. “If he (Mr. Aquino) does not want to put his name in projects, then okay, but if we want to put ours, he should not meddle in our affairs,” Syjuco said. Magsaysay and Syjuco said putting their names on project billboards would also assure their constituents they are fulfilling their campaign promises. “We have promises to keep, projects to meet. It’s essential that when projects come up, people know that we have delivered on our promises,” Syjuco said. Camarines Norte Rep. Elmer Panotes said that if they do not place their names on project billboards, some local officials like mayors, might try to steal credit by placing their own names and pictures in project sites. Nothing was heard from them when the President banned sirens and counterflow. They cooperated, didn’t they? Look at how they comport themselves on the way to Batasan. It is the most disciplined avenue: bereft of noise and snaking convoys. Now that they made it known that they are in agreement with the new fad of self-imposed humility, another behavior-curbing rule would just be too much. Maybe the President has forgotten that they too have an arsenal of blunting policies from the palace. That policy making is not a one-way street and they too have a singular role in molding policies. Of course the new administration tells them that it is peopled with policy wonks. But that doesn’t mean anything without their legislative imprimatur. Look at how Jessie Robredo fluently (in impeccable English, at that, talking about putting in place institutional approaches and protocol in hostage taking or other explosive situations) dished out his overall approach to reconstructing his department and in the process imperil his confirmation. From the time the President delivered his fundamentals at the Quirino Grandstand, these congressmen saved their brain from functioning, just yet, and motored on gut feel. They have seen the same spectacle before every time one new President is ushered into office. Just like the punchline, timing is all important. In less that a month, the new President delivers his detailed particulars in his state of the nation speech. To these congressmen, this is the traditional timing they were waiting for. This is the time to display their undrawn swords tightly snagged in scabbards. Only the presidential allies were applauding. These congressmen were tepid in their response. 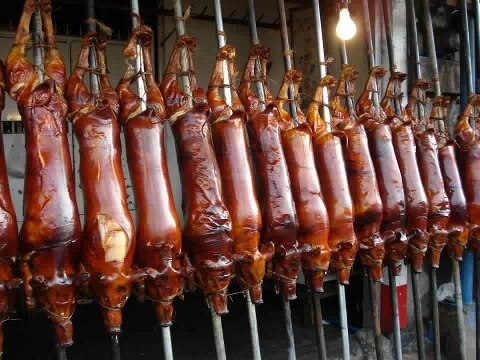 There was collective heave when the president announced that their pork is left intact, with a transparency catch. Their tradition tells them that provisos are for the people’s consumption that public monies must be handled and delivered with care. The counter-catch is there is total abandon in its handling and delivery and the pocketing. As the poker game progressed, the President allowed a slip: “please go easy on my nominees.” The congressmen never showed they heard the plea. They however relished the tone: the President opened a window for them to peep at the entire picture the President wants to paint. It was not a quid pro quo. It was a common thread for cooptation. Like the ruthless predator, the pack saw a limping member of the herd. The next policy shall be shredded like the carcass of a foal. DO 39 is another form of the ban on self-promotion. While the vehicles with the proscribed accoutrements belong to these congressmen, we, on the other hand, bankroll the projects identified by them. A limitation on their property is a cause of concern and arguably worth fighting for. A limitation on their freedom to use public funds in every which way is an absolute good policy. But it was never seen that way. They raised the ante via a courtesy call on the new public works secretary. The ostensible agenda is that the new secretary is an unelectable official and has no idea on the nuances of being in the arena. The presumption for public consumption is that the secretary is clueless on the repercussions of his new policy. Earlier in August, 2010 Cong. Suarez strategized with the other members of the Opposition to meet the DPWH secretary. The ostensible reason was to request DPWH to exempt them from indicating their names on the allowable notices on the infrastructure projects in their districts being undertaken and on the pretext that they want their constituents to be aware of what they are doing as their representatives. There is more to the said meeting than what it appears to be. 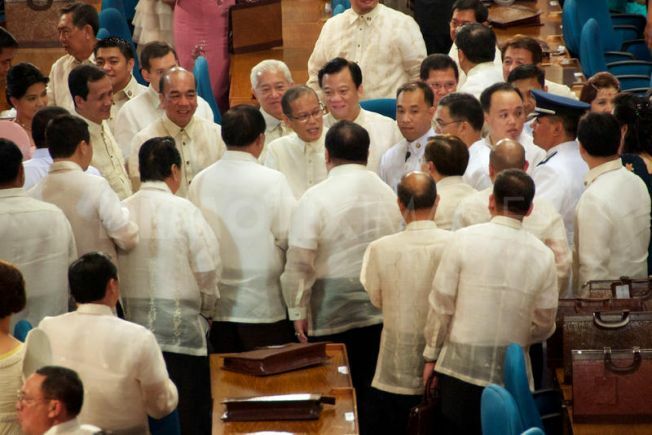 They took off from the SONA remark of President Noynoy Aquino before Congress that he is complimented by an outstanding Cabinet and appealed to Congress to “go easy on their confirmation”. Cong. Suarez is trying to game the system and frustrate the vision of Pres. Noynoy Aquino. If successful, Cong. Suarez will just look at it as “politics as usual”. We are looking at another horse trading entrenched in the so called consensus-reaching tradition in the halls of Congress. NextKULIGLIG IS A WORK OF GENIUS!